INTERNAL documents on Stormont’s preparations for the EU referendum show that the DUP-controlled agriculture ministry drafted statements anticipating a `Remain’ decision and did not draft ministerial comments planning for the eventual Brexit result. 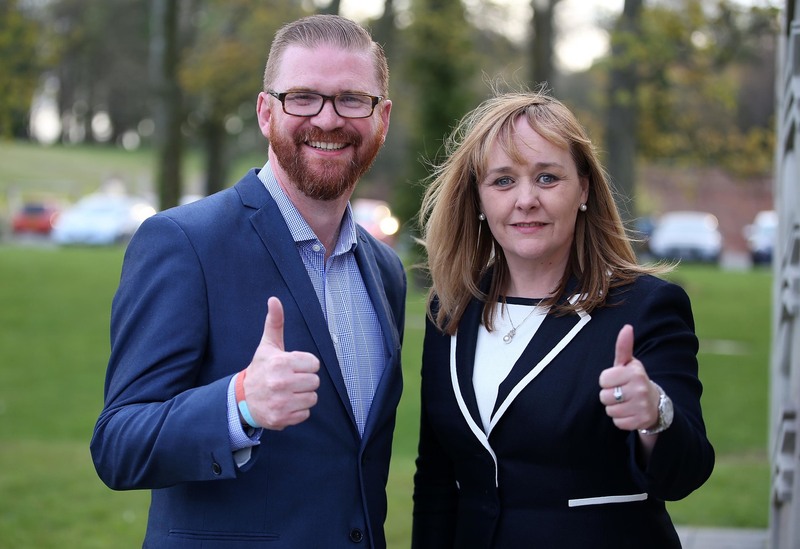 The paperwork obtained under Freedom of Information legislation includes instructions given to civil servants, plus speaking notes drafted for Minister Michelle McIlveen to help her answer Assembly questions on the outcome of the referendum. However, the script written by department staff on the instructions of her DUP-appointed Special Adviser, only anticipated a UK decision to remain in the European Union (EU), despite the fact that the DUP was campaigning at that time for a Brexit result. 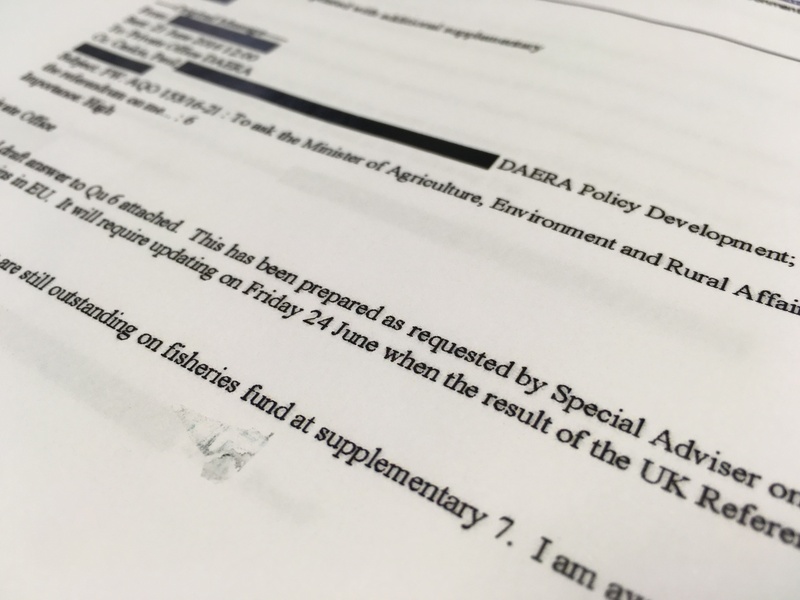 The documents obtained by The Detail show how the Agriculture Minister’s speaking notes were quickly rewritten after it emerged that the UK had voted to leave the EU, a move which will have major implications for the farming sector and the wider agri-food industry. The documents have emerged as opponents of the DUP are claiming that the party was unprepared for the Brexit result which it lobbied for during the referendum campaign. 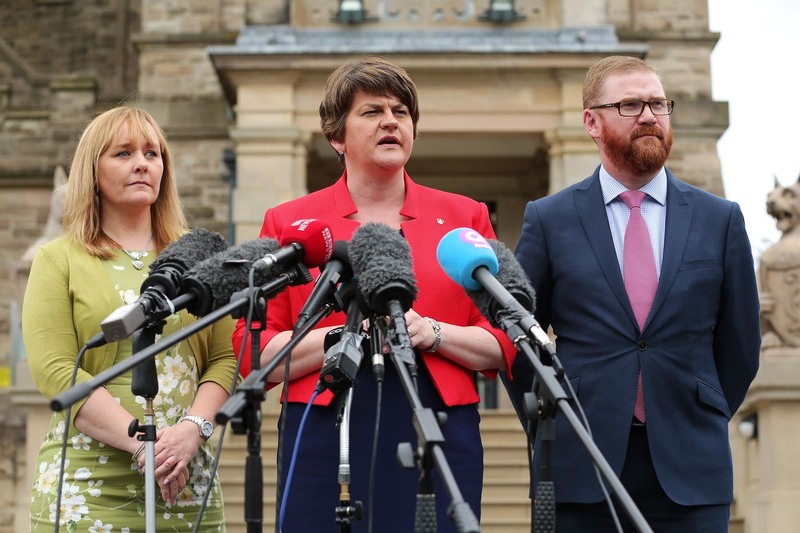 In a separate development, questions have also been raised over whether the DUP’s Economy Minister Simon Hamilton supported his party’s pro-Brexit policy. He has so far refused to confirm how he voted, despite party colleagues confirming publicly that they voted to leave the EU. Meanwhile, the documents catalogued the level of EU financial support for the farming sector in Northern Ireland, though the files also show that civil servants expecting phone calls from concerned farmers on the morning of the Brexit result were told to avoid “speculating as to what may happen in the future”. However, the documents show that after the referendum result, speaking notes on leaving the EU were written for the minister. The Alliance Party’s outgoing leader David Ford reacted to the documents by saying: “It is clear, given how central the European Union is to Northern Ireland’s agriculture and agri-food sector, the possibility of the UK leaving the European Union was unthinkable in the Department right up to the eve of the referendum. “But now the unthinkable has happened. Like other Departments, DAERA now has a rush to ensure they can best mitigate an enormous challenge to a major component of the local economy." Ulster Unionist Party leader Mike Nesbitt told The Detail it was “extraordinary that no contingencies were put in place for a leave victory in the Brexit vote, particularly by those who were campaigning for just such an outcome”. The latest documents follow The Detail’s recent publication of a report on the likely impact of Brexit on Northern Ireland, which was prepared by Stormont’s European policy experts prior to the referendum, but which was never released to the public. That report from the Office of First Minister and deputy First Minister (OFMdFM), available here, specifically highlighted the risks to the farming sector, including the loss of billions of euros of EU funding for farming. Northern Ireland’s farming sector is heavily reliant on support from Europe, with direct EU payments to farmers representing 87% of annual farm income, as previously reported here. While the UK as a whole voted to leave the EU, there is political tension over the fact that Scotland voted to remain, as did Northern Ireland by a margin of 56% to 44%. The Detail obtained DAERA documents using Freedom of Information (FoI) legislation, with the paperwork including draft answers to questions the minister could face in the Assembly. The draft answers, written prior to the June 23 referendum, were all based on a UK decision to remain in the EU. At 9.35am on June 22, the day before the referendum vote, civil servants finalised answers for the DUP’s farming minister Michelle McIlveen. Emails show the comments were “prepared as requested by Special Adviser on the basis that UK Remains in EU”, to be updated after the referendum. The documents also show how the minister planned to cope with questions on Northern Ireland’s reliance on EU funding. The answers that were drafted for the minister in anticipation of a decision to remain in the EU also pointed out that EU direct funding to farmers in Northern Ireland in 2015 was £287million, while the Rural Development Programme worth £623million included EU funding of £186.5million. The notes said the European Framework Programme for Research and Innovation has a total of €77billion which is described as “an important source of potential funding for Northern Ireland”. The minister’s draft answers said the Bovine TB Eradication Programme had secured EU co-funding of around £4.5million per year. The ministerial notes also recounted how the European Maritime and Fisheries Fund in 2014-20 is worth £14.4million to the local fishing industry with £10.7million coming from Europe. It is also noted that Northern Ireland receives 9% of the total direct payments that come from the EU to the UK and that the Stormont executive could not replace that without additional money from the Treasury. But the documents obtained by The Detail also included a chain of emails entitled“Lines to Take for Staff” sent by DAERA officials and circulated to all staff on the morning of 24 June, in the hours after the Brexit result. -To the best of our knowledge, Area-Based schemes, including the Basic Payment and Agri-environment schemes, will continue to operate as normal. -Farmers will continue to receive the payments due to them and there will be no change in the timing of payments for 2016”. Click here to read the draft answers prepared for the minister before the referendum and here to read the answers following the Brexit vote. The email to DAERA staff can be found here. Michelle McIlveen became Agriculture Minister following the May 5 Assembly election, at which time political campaigning for the June 23 referendum was reaching its height. On June 20 the minister gave a press statement to the News Letter newspaper, see here, where she claimed there was support for a Brexit vote among many farmers. Addressing the needs of the wider industry, the minister added: “whatever the result, I will fight for their interests”. In response to questions from The Detail about the DAERA documents, the DUP and the department of agriculture have each indicated that no answers expecting a Brexit result were drafted for the minister ahead of the June 23 referendum. A DUP spokesman said: "Work is always carried out ahead of Question Time in the Assembly, with draft answers prepared. The initial work took place prior to the result of the referendum so draft answers were prepared, with recognition that they would require updating on Friday 24 June when the result would be known. “There were obviously only two potential outcomes to the referendum and the first draft had answers written in a scenario of UK voting to remain. “This did not reflect any assumption about the likely outcome but given the Minister had been arguing in favour of leaving the EU she was obviously much more familiar with potential answers to questions in light of that eventuality. The initial draft answers covered the only other potential outcome." A DAERA spokesperson responded to the same point and said: “The Minister campaigned for a Leave vote in the EU Referendum, and is very clear on the benefits for Northern Ireland and the United Kingdom that exiting the EU will deliver. Regarding the ‘lines to take’ that were emailed to departmental staff, DAERA said: “The lines to take were prepared in the immediate aftermath of the EU Referendum result and whilst it was important to ensure that staff were prepared to respond to queries from farmers, it was too early to be able to provide any indications as to what the future may hold. Ulster Unionist Party leader Mike Nesbitt told The Detail: “One of the historic strengths of the Northern Ireland civil service has been its ability to plan for all contingencies. “It is therefore extraordinary that no contingencies were put in place for a leave victory in the Brexit vote, particularly by those who were campaigning for just such an outcome.